Shelter costs continue to be the main factor driving core inflation. The core excluding shelter rose just 1.4 percent over the last year. Insofar as rising inflation can be viewed as a problem, it is overwhelmingly a story whereby a limited supply of land combined with building restrictions creates a shortage of housing. 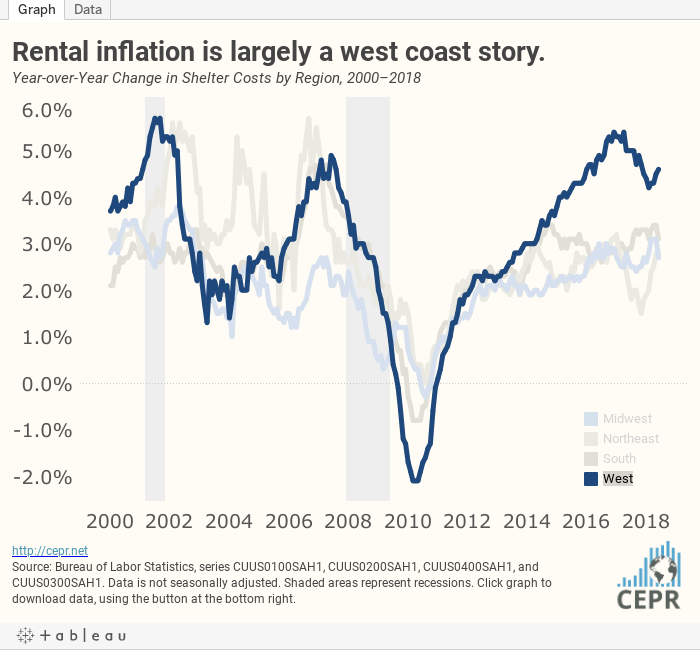 This is largely a West Coast phenomenon, where inflation in the shelter index has been in the 4 to 5 percent range. The rate of increase in rents has been considerably lower in other regions of the country. For more, see the latest Prices Byte.